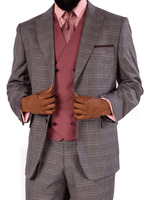 Shop the latest deals on Steve Harvey suits and watch how much better you dress than before. 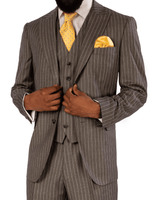 Steve Harvey Suits are a total reflection of style of a certain comedian with a captivating smile and an unmistakable sense of suit style by the name of Steve Harvey was approached by a suit manufacturer to make a line of suits with the Steve Harvey label that represented the unflappable wide leg style or Double Breasted Suit style that Steve Harvey loves being seen wearing especially with Alligator Shoes . Steve Harvey being a lover of crisp pressed suits and smooth gator shoes said yes without hesitation and Steve Harvey Suits brand was born. The Steve Harvey suits collection go great with Mezlan Shoes and have cutting edge style with loose fitting pants that are simply not for the boardroom. With an attention to fashion detail that you don't seem to find on other brands, they are very stylish and not for the conservative minded. 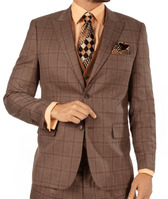 Our Steve Harvey Suits collection found online are made of fine fabrics and are impeccably stitched. 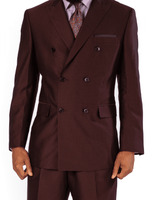 Steve Harvey suits have become a fashion suit synonym sort of the way Kleenex has become a name for tissues. Pretty much any Men's fashion suit featuring a full cut jacket with different fashion features and crisply pressed pants are referred to as a Steve Harvey Suit. Need a Tuxedo that really stands out. 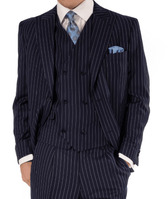 Shop for stylish looking Mens Suits and Linen Suits for Summer. Since you already like Steve Harvey Suits, you will love to shop online and Buy the very newest Crocodile Shoes from makers like Belvedere Shoes. 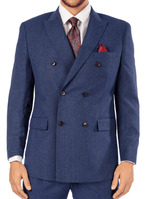 Maybe you're shopping for Zoot Suits. 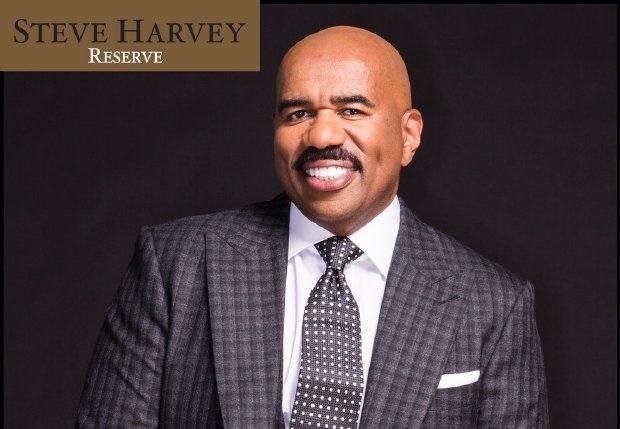 In the world of suits and the world of fashion, there are very few Men who carry the influential impact that Steve Harvey does when it comes to style. Most Celebrities pretty much wear what their personal stylist has them wear but Steve Harvey is not one of them. You see, the reason Steve Harvey doesn't need a personal stylist is breathtakingly simple. Mr. Harvey already has a deep developed sense of Style that no personal stylist is going to be have to change. Steve Harvey from an early age already knew he liked suits and liked wearing suits and he soon learned that he had a true sense of style concerning how a man with personal style should dress in a suit. Since Steve Harvey had such a strong sense of style concerning mens suits, once he became famous it didn't take long before suit manufacturers were knocking on his door trying to have him as the Man with his label on designer suits. Once Steve Harvey found the company that best represented his suit style it wasn't long before a deal was made to make Steve Harvey Suits.